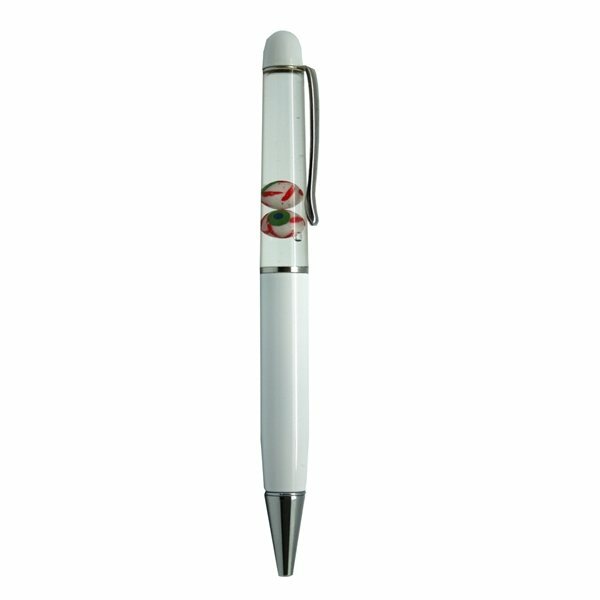 This ballpoint pen with floating eyeballs and metal barrel is the most fun your clients will ever have with a pen. Customized with your company's logo or slogan this is a fun promotional product giveaway to have at your next tradeshow or event. Much prettier in real life than on the website. Great feel, too! the logo turned out exceptionally good!! Happy with how our first order turned out. It had been simple to order and every one of the instructions were very obvious. met my expectations I have appreciated AnyPromo's working historically with us. We loved the product. Rose worked with us on getting the logo just the way we wanted it.